Teaching With Love and Laughter: Please join me on Facebook! I just started a facebook page today and I would love it if you would join me over there. I haven't quite figured out how I am going to manage a blog, facebook page, classroom homepage, teacher store, and Pinterest, but, we'll see what happens! Thanks for "like"ing me! I liked you on Facebook :) I always forget to put my stuff up on my Facebook page. I guess I need to try some sort of checklist or something. Thanks, Heidi! I'm glad to see I have some followers for when I remember to post there! LOL! I wanted to drop in to extend you an invite to my first ever linky party. I would be honored if a seasoned blogger like you considered jumpin' on board. Pop over for a visit if you are interested :) Thanks Lori! Kelly, I will definitely link up. It may take me a few days, though! I LOVE your blog! I liked your FB page! 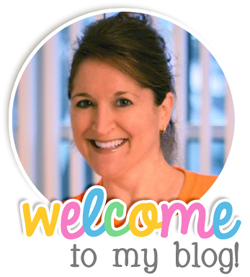 I really enjoy reading your blog posts!